We are always open to enquiries from anyone who may wish to consider joining us as a Trustee of the Magog Trust. There is a surprising amount and variety of aspects involved in owning and managing our 163.5 acre parcel of land, so anyone considering this will need to be able to make time to get involved as required. The Trustees all have the status of Directors of the Charitable Company. These positions are voluntary and as such no salary is attached, although reasonable expenses will be re-imbursed. If you have any skills and experience in particular which you think would benefit the Magog Trust as a Trustee, and/or for further information, please email chairman@magogtrust.org.uk. We occasionally get handed in items found on Magog Down, or get asked about items which someone has lost. 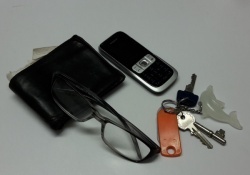 Unfortunately we’ve had very little success in re-uniting items with their owners, so we’re now asking visitors rather than contacting us, please contact Sawston Police station at 4 Cambridge Road, Sawston CB22 3DG. Mail: to the registered office at Verger's Cottage, 1 Gog Magog Way, Stapleford, Cambridge CB22 5BQ. Or please use the enquiry form below to send us a message.